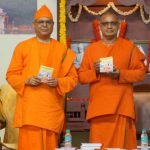 The historical 9-day sojourn of Swamiji at Vivekananda House etched forever on the pages of history, is celebrated every year as Vivekananda Navaratri with cultural programmes and lectures by scholars and monks. Thiru. 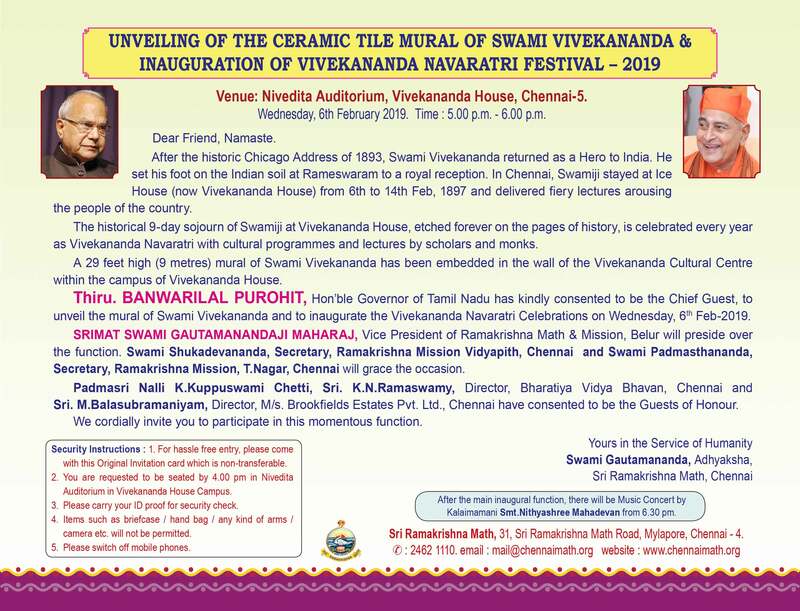 BANWARILAL PUROHIT, Hon’ble Governor of Tamil Nadu has kindly consented to be the Chief Guest, to unveil the mural of Swami Vivekananda and to inaugurate the Vivekananda Navaratri Celebrations on Wednesday, 6th Feb-2019 from 5.00 to 6.00 p.m. at Nivedita Auditorium, Vivekananda House, Chennai- 5. After the main inaugural function, there will be Music Concert by Kalaimamani Smt.Nithyashree Mahadevan from 6.30 pm.